Wait until you experience the taste of fresh apple sauce. You won’t want to buy it any more. 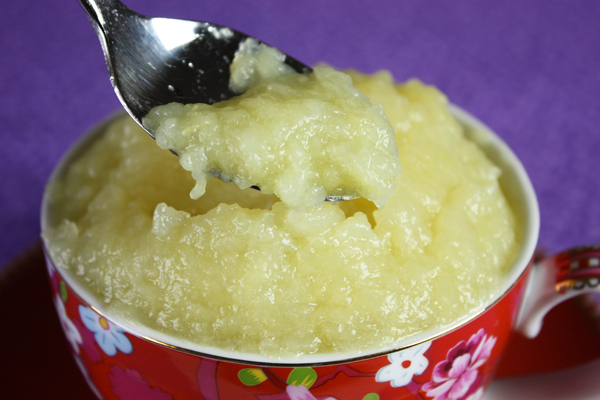 Fresh homemade applesauce is so good, I sometimes eat it with a spoon as my dessert. I see lots of recipes with added sugar and stuff, but here’s the thing. Apples are sweet. They don’t need added sugar so this is the easiest, and healthiest, thing to make. You just cook some apples. Just peel, core, and chop them up and add a little water in the pan to get the cooking started. You can have fun trying it with different varieties of apples. Not all apples taste the same. Granny Smith are good for baking but to me, not sweet enough for apple sauce. My favorite for sauce is gala but do you have any idea the number of different apple varieties that exist in the world? Seven thousand! You heard me. That’s 7,000! Here are just a few that I’ve actually seen: Rome, Braeburn, Cortland, Crispin, McIntosh, Fuji, Golden Delicious, Red Delicious, Gravenstein, Liberty, Jonamac, Ida Red, Criterion, Winesap, Pippin, Elstar, Cameo, Pink Lady, Spartan, Newton, Sunrise, Empire, Ginger Gold, Red Cort, Northern Spy, Almata, Gold Russet, Maiden’s Blush, Crimson Gold, Dorsett, Honey Crisp, Honey Gold, Winesap, and Anna (I grow my own Anna apples). I get to keep the ones the squirrels don’t eat! 4 Comments on "Homemade Apple Sauce"
Do you have a recipe for oatmeal raisin muffins? I looked on this site and your book and I didn’t see anything. We love your oatmeal banana muffins could I use that recipe and just use raisins? I don’t have a plain oatmeal muffin recipe and I’m not sure how the banana recipe would taste with raisins added. If you mean to replace the banana with raisins I don’t think that would work either because the bananas are part of the batter. Looks like I’m not much help here. 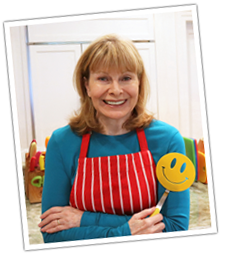 No problem jenny I was just hoping to make a recipe from you because it would be much healthier. I saw plenty of recipes on the Internet for oatmeal raisin muffins just didn’t want to make them. Thanks anyways. Honey crisp and gala together are killer I add a bit of cinnamon or honey! Yum and great to top my homemade plain Greek yogurt!